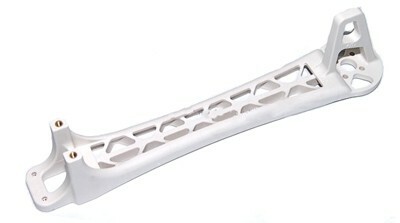 DJI F450 Flame Wheel replacement arm (White). The DJI F450 Flame Wheel F450 frame arms are built from very strong materials, the arms are made from the ultra strong PA66+30GF material which provides better resistance to damage on hard landings. These F450 arms are supplied in one's, please order the number required. I purchasing a dji f450 flame wheel for christmas from build your own drone..and managed to snap one of the main arms.! !